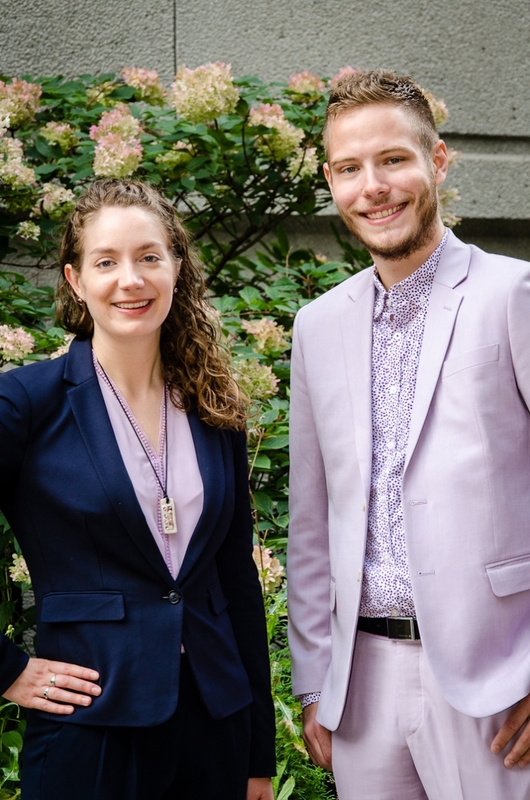 We are delighted to announce that BCL/LLB candidates Laura Davis and Jared Miller were hired to help support Indigenous initiatives at the Faculty of Law. Laura and Jared will seek to build partnerships with Indigenous communities and organizations, meet with stakeholders to determine the needs of Indigenous students at the Faculty, and further develop the L.E.X. Outreach program to reach more Indigenous youth. They will also support the Faculty by compiling resources to assist Indigenous students with their career development and provide input on communication materials and on event planning. To reach our Indigenous Initiatives Student Coordinators, email coordinator-indigenous.law [at] mcgill.ca. Laura grew up in Victoria, B.C., where she completed her BA in Linguistics and became passionate about Indigenous language revitalization. Now that she is pursuing legal studies, she enjoys acting as senior editor of the Indigenous Law Association’s blog and completing a legal clinic internship at the Native Friendship Centre of Montreal. Laura is grateful to have the opportunity to collaborate with McGill’s Faculty of Law and the University community at large to improve Indigenous students' experiences and to increase the presence of Indigenous law at McGill. A member of the Metis Community of Manitoba, Jared grew up in Winnipeg, where he completed an Honours BA in Criminal Justice & Sociology. He began his legal studies in 2016 and, in his time here, has been the treasurer of theIndigenous Law Association / Association de droit autochtone, and he has worked at the McGill Journal of Sustainable Development Law and the Legal Information Clinic at McGill. He is currently clerking at the Cour du Québec, chambre criminelle, with Justice Salvatore Mascia. Jared looks forward to working with the Student Affairs Office in order to better holistically engage with Indigenous students and increase their presence at the Faculty.